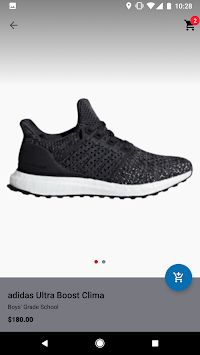 The Kids Foot Locker app puts you in the sneaker loop wherever, whenever. 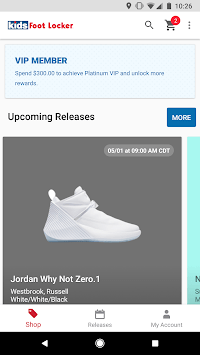 Our Release Calendar lets you be the first to know what is being launched when, so you can instantly cop your favorite kicks from Jordan, LeBron, Kyrie, Champion, Vans, and more. Stay up to date with the latest in sneaker news, releases, and hype. Become a VIP and receive exclusive perks and offers. Push notifications alert you with release updates, announcements, deals and the latest content. Shop. Discover. Browse. Explore. 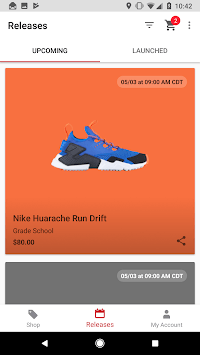 The KFL app is your one-stop shop for all things sneakers.